This entry was posted on October 8, 2011 by Russell Smith. 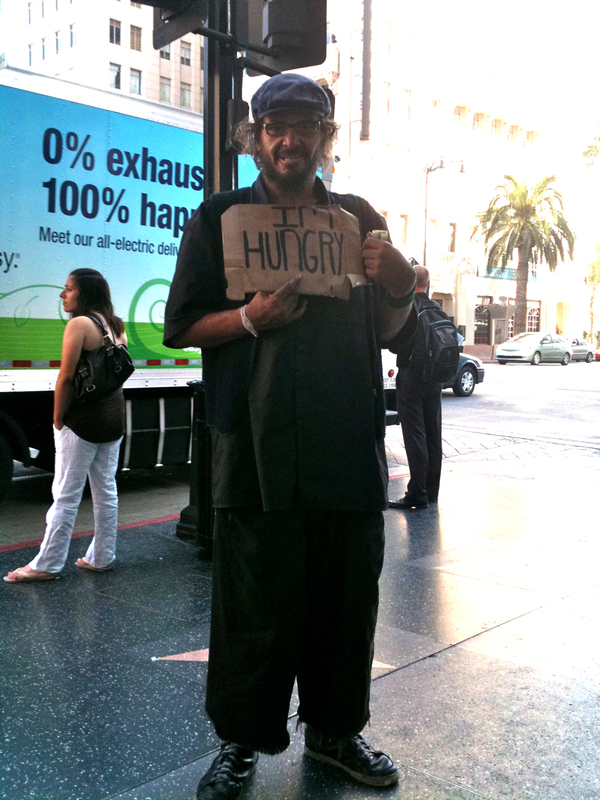 It was filed under Street, Urban and was tagged with bum, homeless, homelessness, postaday2011, Russell Smith, signage. Great character. i love this! The other two in the photo have their backs to the guy and each has a well filled backpack.